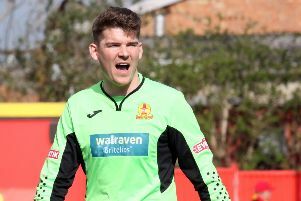 The supporters are the lifeblood of any club and Banbury United boss Mike Ford is full of praise for those who have backed his side this season, especially at home. Gates for Evo-Stik League South games below 400 can be counted on one hand and Ford said: “The supporters should be applauded for the way they’ve kept coming back to our home games, even though we’ve played well in most of them. There is always a stronger possibility that we’re going to win our home games more so than away but the fans still have to put their hands in their pocket to keep coming down. “The good vibes were back on Saturday, the players were applauded off the pitch and in the clubhouse afterwards, it reminded me of how it’s been for most of my time here. Looking back on Saturday’s superb success against King’s Lynn Town, Ford added: “King’s Lynn were as good a team as we’ve played this season and our performance was as good as it’s been for a long time. Who from Banburyshire has appeared in court?